As some of you might already know, ARM processors are a big thing nowadays and could prove to be useful for many future technologies that require miniature processing units that offer a wide array of features. These features include security, connectivity, graphical processing units, location services and even more. All of that fits comfortably on a single miniature ARM chip. 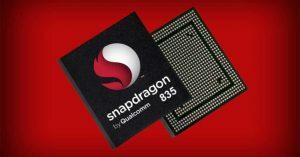 Given the fact that all of us can name at least dozen of possible applications for such chips, it comes as no surprise that they are becoming more and more popular every day. As I already mentioned in quite a big paragraph on the main page, I am a big fan of ARM microprocessors. In addition to that, I also enjoy making my own drones powered by these processors. It’s a thrill unlike any other – making your own unmanned aircraft from scratch. You don’t know what adrenaline means until you’ve finally got it to work after weeks and weeks of trial and error. This is pretty much what I wanted to mention with this blog post to you guys. 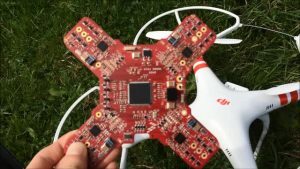 The possible applications of ARM processors in drones. True, some of you already know that these sorts of processors are already being used with some premium drone models. These drones cost over $1000, and I can make one (perhaps not as good as the real thing though) for less than $300, just counting in the costs of materials needed. These ARM processors allow not only superior performance and stability but also enable me to establish fluent communication with the drone and my smartphone, making me in charge of its behavior throughout their entire trip. I am still nowhere near a finished product, so keep that in mind. When I am done with it (btw, I named it Project Bumblebee), I will make a huge blog post describing everything it took to bring it together. Until next time, stay safe! 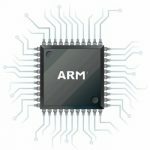 Yesterday I made a blog post about the future of ARM processors. More specifically, after Microsoft released an announcement claiming they’ll enable the next-gen ARM processors to run fully fledged desktop version of Windows 10. Today, i would like to extend that blog post into a separate one that touches only the possible usage of ARM processors in next-gen laptops. Why did I put “next-gen” right next to laptops? Well, because I believe that ARM’s introduction to budget-friendly laptops could start an avalanche of lowering the prices of laptops, bringing more powerful portable systems to the masses. Even though the chances of this actually happening are quite low, I still believe that Microsoft will come up with something revolutionary in the next year or two. We haven’t seen that many radical improvements from Microsoft, and one this big could make me fall in love with them yet again. There is some huge news regarding ARM microprocessors that are keeping me awake at night. 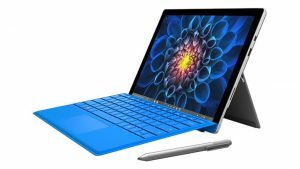 It all started with Microsoft’s announcement that they are planning on setting up the fully fledged desktop version of Windows 10 to be run on ARM microprocessors. This is, at least for me, some huge news since it means that Microsoft has finally managed to fully blur the line between smartphones, tablets and laptops. Perhaps this new technology won’t bring revolutionary improvements right away, but it will definitely start with a couple of incremental ones, that’s for sure. I just hope Microsoft doesn’t use this technology only to bring smartphones and tablets closer to desktops because that would be terribly stupid of them. If they combined all the available information, they could easily create ARM chips that could go in laptops and notebooks. Now that’s something I would really like to see in the near future! ARM processors are nowadays used mostly for powering our smartphones and smart watches. Even though they are used across a huge variety of tech gadgets such as robots or even drones, ARM is most famous for its usage in modern-day smartphones. 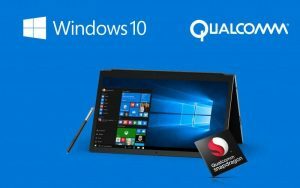 A couple of days ago, there was another announcement that claimed that the new Qualcomm’s Snapdragon flagship model (the 835) will most likely have the capability of running the desktop version of Windows 10, meaning that we could get a working prototype as soon as February this year. I’m honestly hoping that these new ARM microprocessors will replace Intel’s Atom processors that are sued for ultra portable laptops, notebooks and such. Even though I am a big fan of Intel, their Atom series is as bad as it gets. With new ARM microprocessors inside of these gadgets, we would have a whole new array of power and portability, basically unlike anything we have seen so far. Just imagine these microprocessors powering up your brand new notebook, without any fans, any noise and with special perks such as more connectivity, bundled GPUs, built-in 3G and 4G network capabilities… AWESOME!